@afai1261 Thanks for sharing. Morgan's eyes are like frozen death. I find all your vamps intriguing if they find their stories as your playing, I for one would love to hear them. 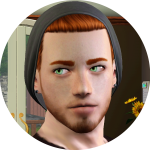 I have to admit I am having a moment over your not yet added, Raphael, because that is one of my favorite names of all times, and I am digging the heterochromia. If and when you add or update please keep sharing. Since the story of the Vought family has taken a fanged turn for the simple reason that I couldn't bear the thought of Ulrike growing old and dying... I guess it fits here. Ulrike and Ulrike and Agathe moved across the street to the house with the inner courtyard and renovated the heck out of that place. Even though they are only three people, having huge furniture like that grand piano you get from the music career requires... space. I will post a proper story / picture section soon but in the meantime... Let's just say I tried to renovate it to look like an actual slightly renovated mid-century villa. Right now Agathe and Ulrike is walking around upgrading everything. Even vampires need super-luxury toilets, after all. Also, I had Ulrike drinking the respec potion because two coffins just takes too much room. I prefer her being able to sleep in a bed. Much easier, and room to fit in a wardrobe. @Beardedgeek I've seen your family before on some of the forums. I am glad they have found a home here! I thinks it's great that they're upgrading everything even the toilets. I do the same thing with my vamps (as if they needed it, but hey I'm OCD so I've got a <poor> excuse). Thanks for sharing, I am looking forward to seeing how things work out for them in the new house. I love Ezra's new hairstyle, it's very attractive. I like long hair for men too, in general - I do make exceptions for exceptional vamps (like.. no names <Dakota>). I would really love to hear it if you ever did come up with a backstory for Dakota, and in my imagination, without knowing Ezra very well. I know he'd want to be immortal to spend forever with his love. Eep, I'm super glad his longer hair looks nice! If I do ever think of something, I'll be sure to let you know! Same to you, though; if you ever come up with new ideas for your vamps I'd love to hear! I must admit, they're so gosh darn ADORABLE. Can't resist a good vamp boi! awww, thank you!! and yes, can't resist a vamp boi! 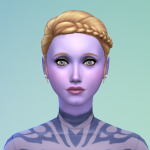 @Magdaleena Hi I was browsing some cc, which I do a lot of, and happened across some pretty cool looking Vikings over at Alial Sims. I remembered you had mentioned that Einarr had once been a Viking, but you hadn't had much luck finding any cc. Well, Einarr looks really cool so he probably doesn't need it, but I thought I'd throw up the link in case you were interested. It also reminded me that Valhallan Sims does a lot of video game cc and included with that was some cc from a race called the Vyrkul who are from World of Warcraft. This race is loosely based on the Vikings, so I thought it might be of interest. @kirivian Hey, thank you! I'll look into that. I might also just find some random.. tunic?? to recolor myself, as I usually do. 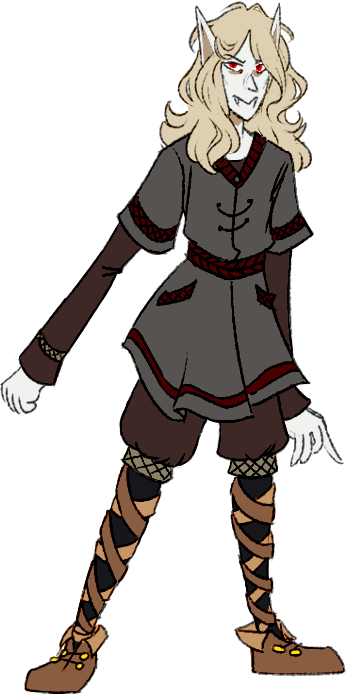 His current outfit is actually a personal recolor as well, except it was originally meant for pirates or something. 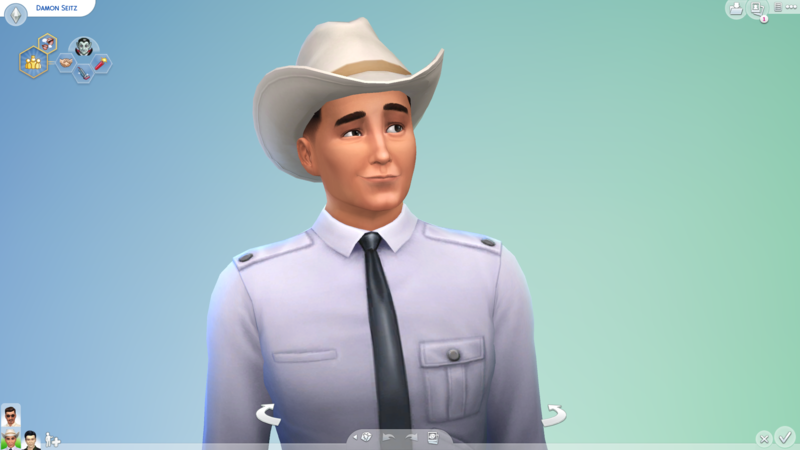 I've kinda been looking all over for historical CC just for this dude. 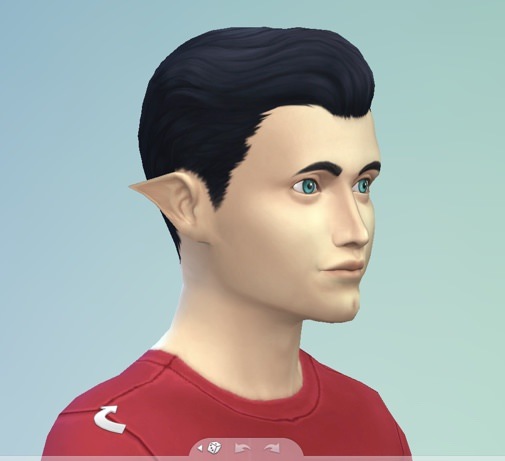 The Sims Medieval conversions are a decent place to look, even though even that may be too young for him. @Shinzen aaaaaaa bless you!! It always makes me so incredibly happy to hear when people like my sims! And I agree, Mort's just absolutely precious. My adorable child who asked for none of this. Bless em. @Magdaleena OMG. That outfit is supercute. 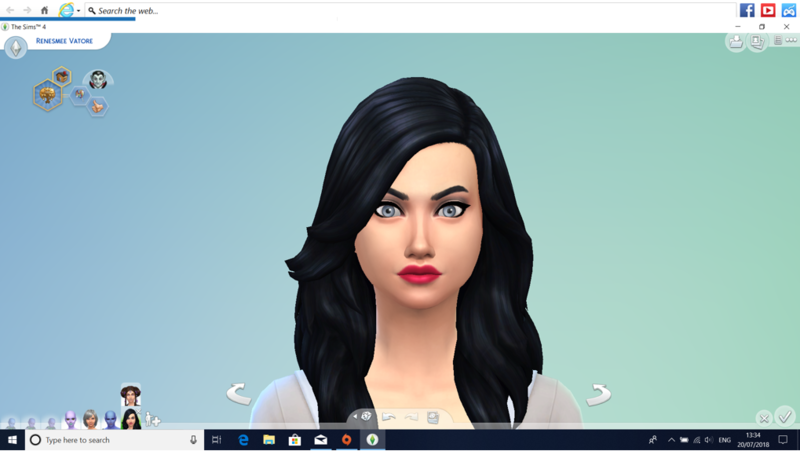 I wish I knew of a creator still taking requests for CC. Since you mentioned that you do recolors for your private collection, I did remember seeing This Outfit at Cepzid Sims Creations. Maybe you could work with it. I got my Cloak at Studio K Creations, but it doesn't close in the front. This Cloak does, but doesn't have any kind of collar and Valhallan, the creator, says that with some poses there can be clipping, it's a nice looking piece, but I didn't take this one because I have the other and I was worried about the clipping. 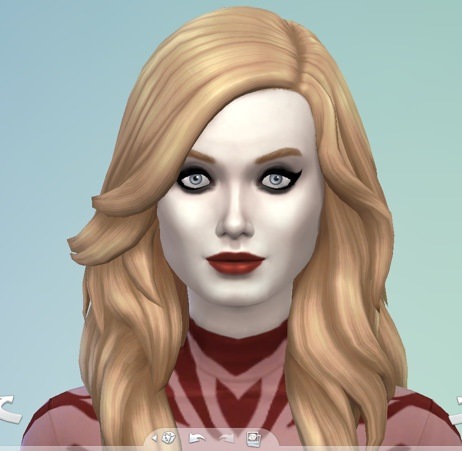 @kirivian those CC skin tones really work well on vampires. I think they look kind of ethereal. 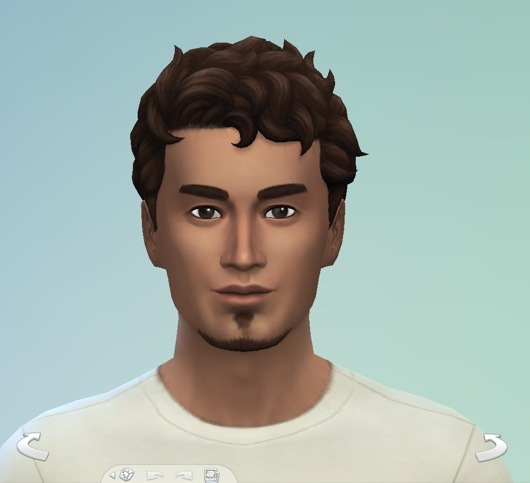 Don Lothario and Caleb look so different - I wouldn’t have recognised them! 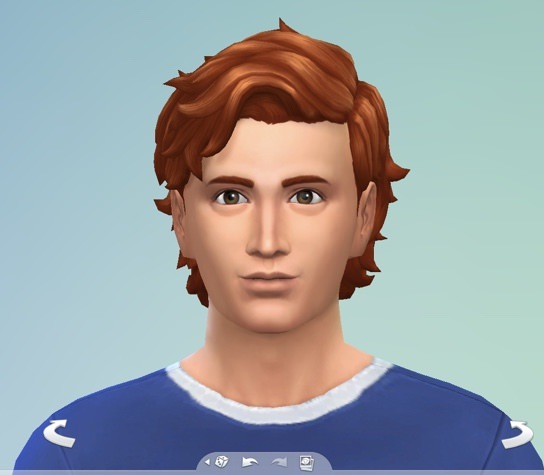 They’re very handsome, I love seeing how other people make over the premades although in my own game I don’t touch them (haven’t got the necessary skills!). Did you edit their facial features, or just put different skins on them? Sometimes a different skin can have a big effect. Will Don become a vampire? @Shinzen Dakota is soooo beautiful! Is he on the gallery? 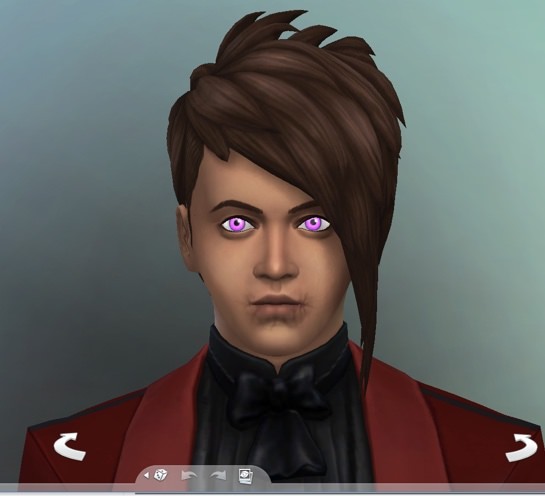 @afai1261 I love that you made Morgan Fyres a vampire. She’s one of my favourite premades. Her grandson is going to marry one of my vampires in my main save. The vampire pack is so awesome. 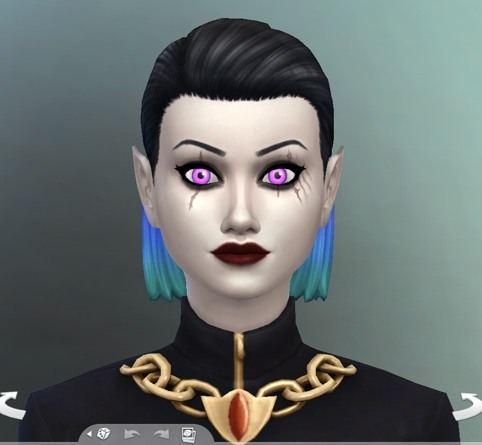 I’ve had a lot of fun giving the premade vampires families and my own main family has has six generations of vampires (oops). I might post about them here, but I fear I have too many vampires and it would be boring for anyone except myself! @MaggieMarley I would certainly not be bored by hearing about your vampires. I created this thread to hear about them (and other people's vamps too). 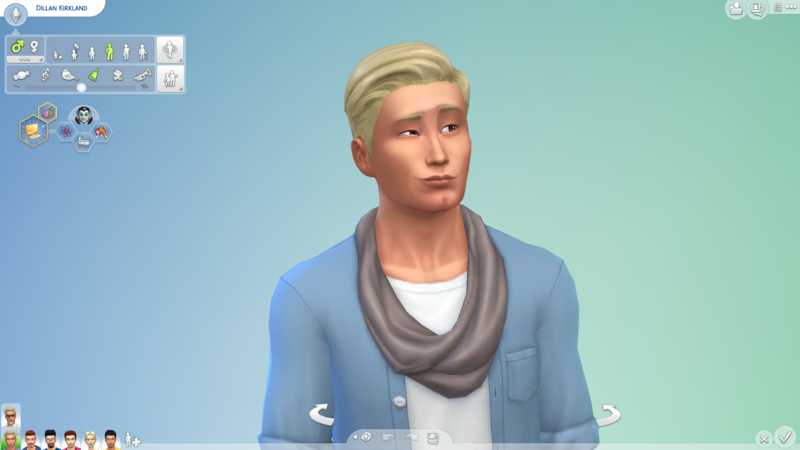 It's been a while since I did the edit on Don, and when I did, I never expected him to be a player in my neighborhood so I don't remember if I changed any of his features (usually I don't, but sometimes I will). His skin is an overlay skin combined with a custom skin tone. 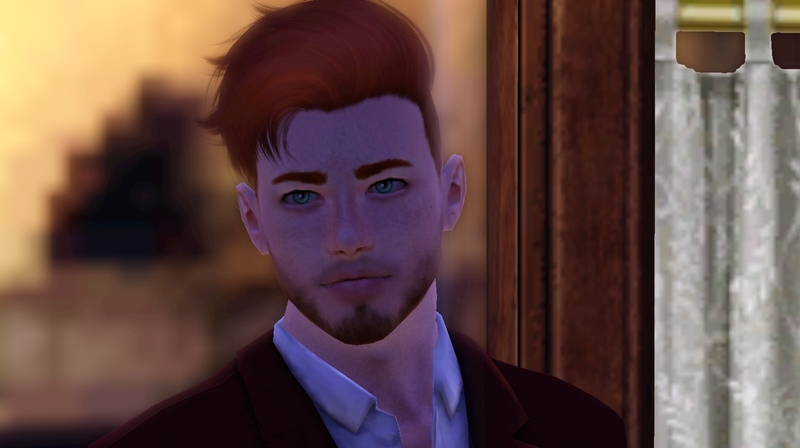 In the case of Caleb, I did not change any of his features outright, I did do a little push and pull, but mainly he's a product of cc and tweaking. His skin is not an overlay so his skin tone is part of his skin. If Jaiden has his way, Don will never become a vampire because Don's plasma is Jaiden's favorite type. yummy. Thanks for joining the discussion btw, and please do share, I doubt @paradiseplanet and I are the only ones interested. I wouldn't be bored of hearing about your vampires. @paradiseplanet @kirivian @xxnearlyperfectx aww thank you so much. I'm sorry if this puts you to sleep! Wow, this is way too long. I don't think it will even post in one go, so I'll have to do two posts. I have a family tree where I write a description for each sim and I have cut and pasted bits from there with some pictures. I tried to make it as short as possible, I swear. Like I said, it’s probably going to bore anyone but myself! Lettie had always been a bit wild　When she left school, Lettie wasn’t content to settle down and get a job immediately as her brother did. With only her faithful canine companion, a chihuahua named Indiana Jones, Lettie jetted off to Selvadorada to explore the jungles. With the money she found in tombs and made from selling treasures, Lettie extended her stay in Selvadorada indefinitely. While in Selvadorada, Lettie begun a romance with a local called Oscar Gallegos and they got engaged. Unfortunately, while Lettie was abroad, both her parents passed away. When she returned home to comfort her grieving brother, Lettie met a handsome and mysterious man called Caleb Vatore. Despite herself, she found herself drawn in by his charms and soon realised she was falling in love with him. Lettie ended her relationship with Oscar and became the girlfriend of Caleb. She was very happy with him, but begun to notice certain oddities about Caleb: he never seemed to eat, he rarely slept, once she could have sworn she saw him materialise out of thin air where a bat had been moments previously. After this last incident, she confronted him, and Caleb admitted that he was a vampire. 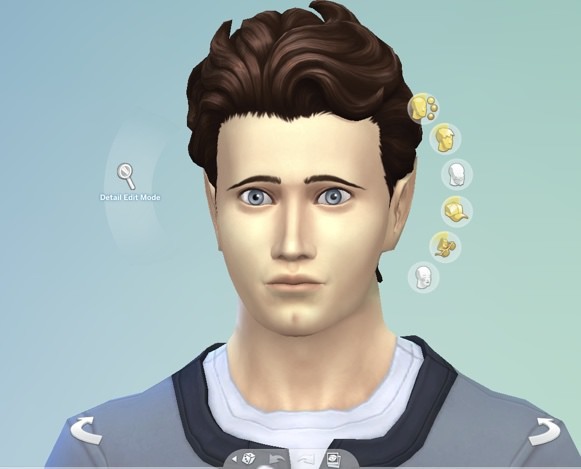 After the many mystical things she had seen in Selvadorada, Caleb’s confession did not come as a major shock. However, Lettie begun to worry that since she was human and thus doomed to age and die, her relationship with Caleb would be short lived. She begged him to turn her into a vampire, but Caleb himself had been turned against his will and hated being a vampire, so refused to do it. Although Caleb had promised he would not leave her when she grew old, Lettie sought out another vampire, Vlad, who agreed to turn her. At first, Caleb was saddened by her decision. But, he was happy that he would never lose her. Caleb and Lettie married. 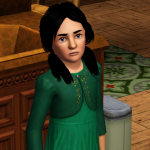 Lettie moved in with Caleb in his large house in Forgotten Hollow. She put her jungle adventuring days behind her, but still chose a relatively risky career as an astronaut. Meanwhile, Caleb became a professional artist. 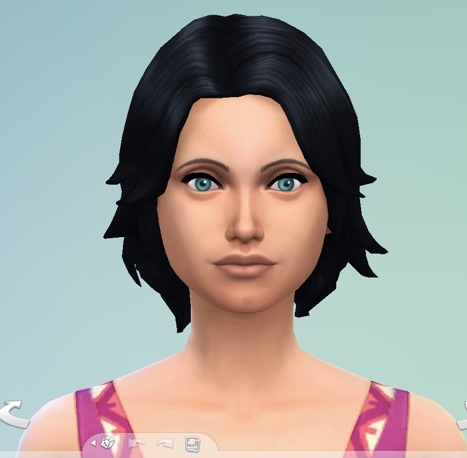 Lettie and Caleb had one child, also a vampire, Edward Vatore (more on him in a moment). They had a son called Rick (the game chose this name, not me!). Unfortunately, Jasper died of old age when Rick was a child, leaving Lilith a single mother. 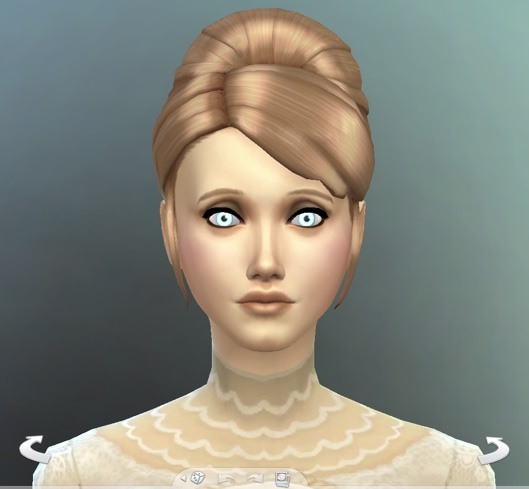 Around this time, Vlad also got married to some random townie called Callie Nunez and had a daughter. MCCC did this for me, but I did come up with a backstory for them, which I’ll write below. The Straud Family is the oldest and most powerful vampire family, and regarded as royalty by all other vampires. 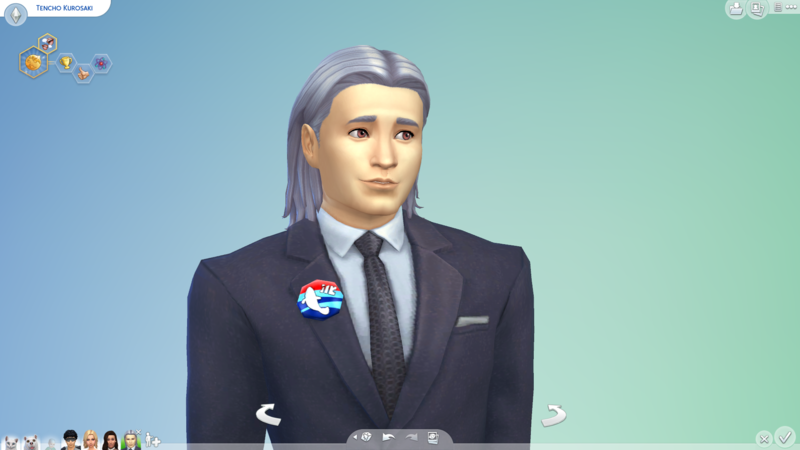 Although normal sims refer to Vlad as a “Count”, a more appropriate title would be “King”. About 200 years ago, when Vlad was 300 years old and still only a Prince, he founded Forgotten Hollow, intending it to be a minor vampire Kingdom of his own. However, the original settlers of Forgotten Hollow, including all of Vlad’s family, were killed in a surprise attack conducted by a group of devoted vampire slayers during a coven meeting. Vlad alone escaped, because he had been running late to the meeting. After this event, Vlad inherited the vampire leadership and became the High Vampire. In vengeance, he killed all of the vampire slayers responsible for the massacre of the Forgotten Hollow Settlers. With time, these events became only myths and legends to human sims, but nevertheless they tended to avoid Forgotten Hollow. Other vampires moved into Forgotten Hollow until, gradually, it became the haven for his kind which Vlad had dreamt of. 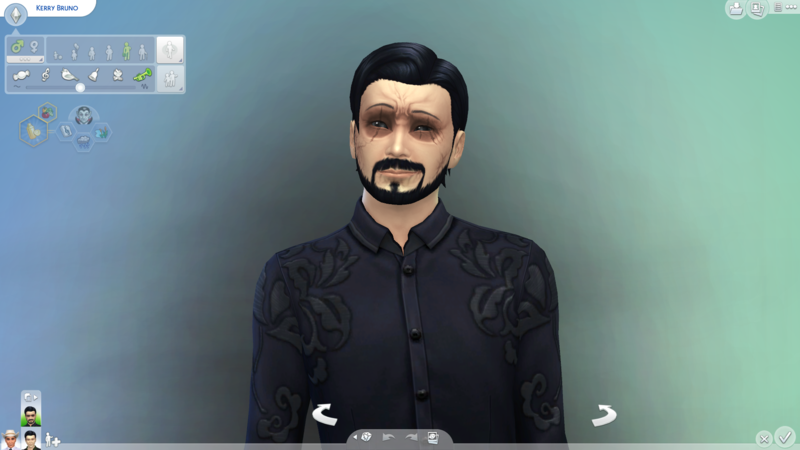 Normal sims are now unaware of the existence of vampires, and believe Vlad is Count Vladislaus Straud IV, the great grandson of the Vladislaus Straud who founded Forgotten Hollow - rather than the original founder himself. For 200 years after the massacre, Vlad nursed a deep hatred of all humans. He delighted in breaking into their houses and preying on them for their plasma. Until, one evening, he had the misfortune to meet Callie Nunez. He had chosen the Nunez household at random as his target for the night, but when he saw Callie, something stopped him from carrying out his plan. He tried to frighten the young woman by telling her what he was, but this only had the effect of rousing her curiousity. She even offered him her wrist, concerned that he was thirsty. Despite himself, Vlad felt a rising admiration for her. In the months that followed, Vlad returned to the Nunez residence often. He told himself it was because Callie was an easy target. But, in his heart he knew that it wasn’t her plasma which kept luring him back. Eventually, he asked Callie to move in with him in his Forgotten Hollow Mansion. Again, he told himself that this was an arrangement of pure convenience - what vampire would not want to have a willing victim living in close proximity? A daughter, Harper, was born to Vlad and Callie. She was a pretty girl (I was shoooook by this), taking strongly after her mother in looks, but also with Vlad’s pale skin, blue eyes and sharp features. Both parents adored her, but to Vlad’s chargrin, she was as human as her mother. When Harper became a young adult, Vlad turned her into a vampire and she took on a new name, Svetlana, after Vlad’s mother (i.e. I hated the name the game had given her, so I changed it!). She was to be his heir, and was, in effect, a Princess. Vlad continued to lie to himself about his true feelings for Callie, until she died of old age. This took him entirely by shock, as he had not allowed himself to perceive the effect of time on her. Now, he experienced a loss as painful as that he had felt 200 years before on the death of his family. Because Callie had been his family, his wife, and the only woman he had ever truly loved. But, he had realised all this too late. Back to the Vatore, now. Edward Vatore (son of Caleb, if you need help remembering!) married his childhood sweetheart, Bella Davidson, in a lavish church ceremony; they had been together since their teenage years. He was open with Bella about what he was, and she accepted him but did not wish to become a vampire herself. Edward had taken up stargazing and exploring space in a home made rocket in his spare time. Having been an athlete for many years, he decided to quit his job and explore his new passion for space by becoming a scientist. Shortly after this career change, Edward was abducted by aliens while stargazing. He returned, shaken by the experience and with a stomach ache. On mentioning the abduction to his new colleagues at the science lab, they confessed that aliens often preyed on scientists. This episode cured him of his brief science obsession. Anxious never to repeat the abduction experience, he quit his job at the science lab, sold his telescope and rocket and invested in a satellite to ward off aliens. Edward’s old boss was happy to welcome him back to his old job as an athlete. Around this time, Bella and Edward had been trying for a baby for a while with no success. Bella was very sad, and beginning to think that she would never be a mother as she saw negative pregnancy test after negative pregnancy test. 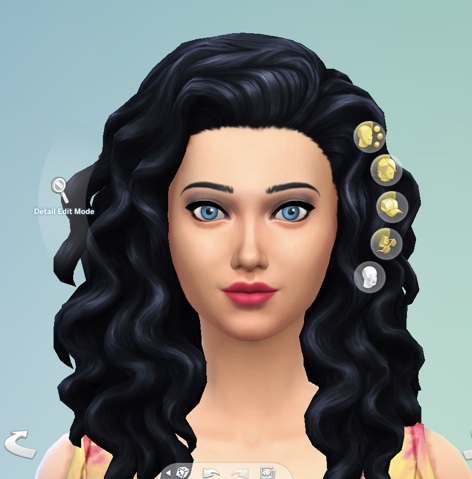 Now an adult, she had left young adulthood behind and could sense her biological clock ticking (this is true: I genuinely had started to worry Bella was glitchy and could not have children because they had tried so many times without her getting pregnant! She kept being so sad). Edward continued to feel unwell and, a few days after his abduction, gave birth to a baby boy, Loki. As it turned out, Edward had been impregnated by an alien called Senior Pollination Technition #3, without his knowledge or consent. Loki was clearly an alien, with a purple skin tone and an eerie echoing cry. But, both Bella and Edward fell instantly in love with him. Bella was especially overjoyed, because she had feared that she would never be a mother. Shortly after Loki’s birth, Bella discovered she was pregnant with a sister for Loki. The couple were now completely happy. Bella gave birth to a baby girl, Renesmee. Eventually, Bella’s time came and she died of old age. Edward’s pleas to the Grim Reaper fell on deaf ears, and the whole family mourned her. However, Bella later returned to them as a ghost. Edward was delighted and asked her to move back into the household. It had been clear from teenagehood that Loki was very special. 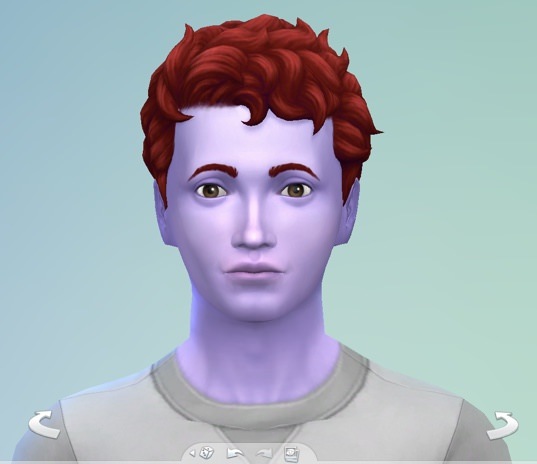 As an alien, he had a disguise, glowed when feeling strong emotions and had the power to transmute crystals, detect another sim’s personality etc. But, during his teens, Loki’s vampire inheritance also made itself know. He thirsted for plasma, found that he could no longer go out in the sun without risk of death and begun to master powers such as turning into a bat. He also found that he had a vampire “dark form”. Loki was a difficult child. On his first day of school, he had accidentally let his disguise drop and was bullied by the other children for his purple skin. He was mortified, and thereafter refused to return; this incident also lead to him rarely dropping his disguise thereafter. When he reached teenagehood and became susceptible to death by the sun, it became even more difficult for him to attend school. By the time he had mastered the art of sun resistance, he had already missed so many lessons that he saw no point in even trying to catch up. While skipping school as a teenager, Loki discovered the Von Haunt Estate. The old house was usually quiet because it was purportedly haunted. It quickly became his favoured location to while away the hours as nobody disturbed him there. That is, until a ghost did. It transpired that the rumours of ghosts had been true. The house was haunted by its two previous occupants: Lady Mimsy Alcorn Shallot and Lord Bernard Escargot Shallot IV, who had perished in a fire in 1898. Bernard hated children and so largely ignored Loki, but Mimsy was curious about the sad pale boy and actively sought him out. Over his teenage years, Loki built up a strong friendship with Mimsy. She, being a ghost, was different like himself, and didn’t care that he was an alien, or that he was a vampire. Her cheerful mood always brightened his. Loki gradually discovered that Mimsy and Bernard’s marriage was not a strong one. Bernard, a painter, was ambitious and had married Mimsy for her money. Although he later professed to love her, they slept apart, he was never affectionate and he was often angry towards her. Bernard often got so infuriated that he threw his paintings into the fire. Mimsy wanted a child, but of course Bernard wouldn’t hear of such a thing. To satisfy her nurturing instincts and obtain peace from Bernard’s rages, Mimsy had taken up gardening. It seemed highly probable that, in a fit of fury, Bernard had been the one to start the fire which would kill both himself and Mimsy, either purposively or by accident. Loki’s purpose for visiting the Von Haunt Estate soon became to see Mimsy. He continued to visit her there upon reaching young adulthood. At this time, their long relationship shifted to something more than platonic. Loki became conscious of his feelings for Mimsy and she reciprocated them, despite knowing that to do so was improper. They shared their first kiss. Bernard saw this and rushed over to shout at Mimsy. But, for the first time, she stood her ground and did not back down. Thanks to Loki, Mimsy was no longer the cowed and submissive wife she and been. 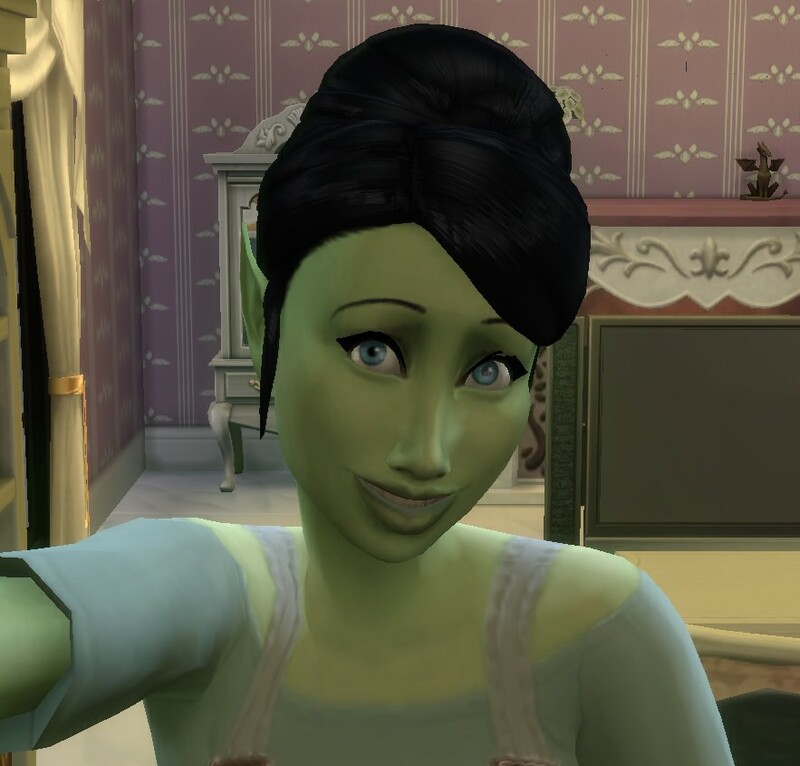 That evening, Mimsy invited Loki to go out on a date with her at Club Calico (I didn’t know that the Von Haunt Estates could invite you4 sims on dates, but apparently they can!). When he enquired about Bernard, Mimsy told Loki that she had left him. It had been an arranged marriage which her parents pressurised her into entering and she was too young to feel able to defy them. She had never been happy with Bernard, but at the time divorce was regarded as deeply immoral and wives were expected to obey their husbands. Mimsy had been afraid of Bernard’s anger and became so used to submitting to him over the centuries that leaving him begun to seem impossible to her. But, finding Loki had empowered her to put her own interests and feelings first. Loki invited Mimsy to move in with him, and she accepted the offer. Loki excitedly told Mimsy he had read that the Wishing Well in the Ancient Ruins could be used to resurrect a ghost. They went together to test the theory. After making a generous offering to the Well and explaining her predicament, their was a flash of bright light, Mimsy was lifted into the air and found herself alive once more. Loki couldn’t believe how beautiful Mimsy was in corporeal form. He had been planning to take Mimsy somewhere special to propose, but he dropped down on one knee and asked her to marry him on the spot. She said yes. Loki and Mimsy were married in Mimsy’s favourite place, the gardens of the Von Haunt Estate. Though resurrected, Mimsy found that she still retained some ghostly abilities. 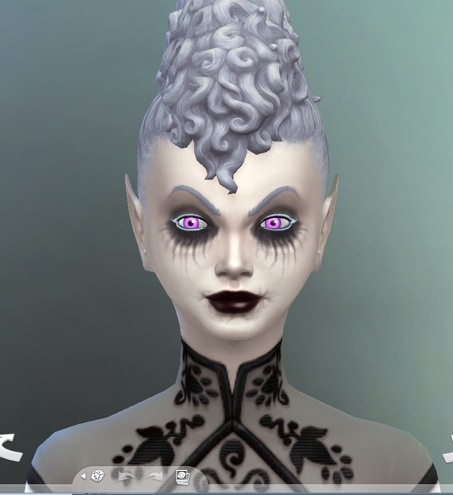 She could possess objects and break (or fix) them in doing so, pass through other sims and she no longer aged so was (barring any accidents) immortal. Mimsy has always wanted a child, but was told that her ability to bear children would not have returned with her body. Consequently, they could not try for a baby but also did not try to prevent a conception (i.e. 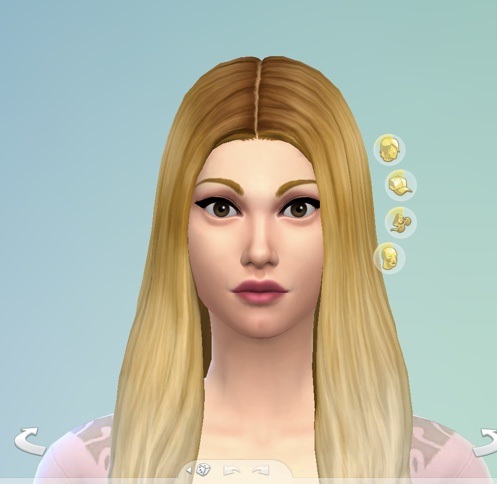 The option for Mimsy to try for a baby was not there so I used risky woohoo with mccc to get her pregnant.p). Miraculously, Mimsy did fall pregnant and had a baby girl, who they called Mathilde. Loki was a scientist and was abducted by aliens very frequently. He was abducted four times, each within a few days of each other. 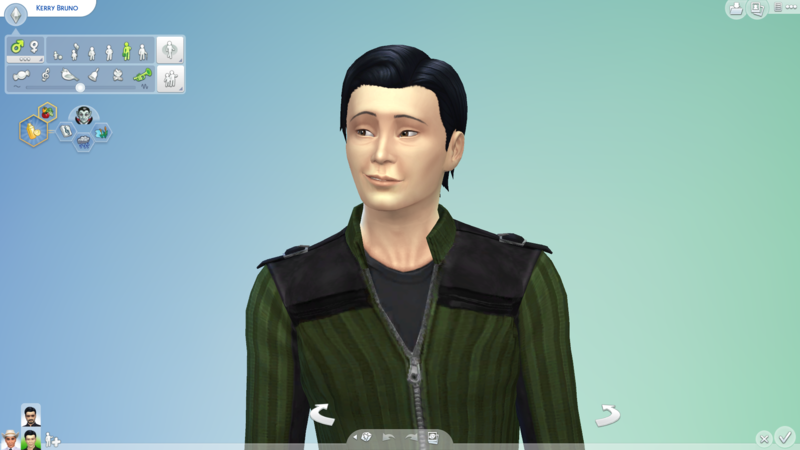 It transpired that the aliens of Sixam were interested in Loki because he was a vampire alien. Aliens cannot become vampires by being bitten, and in normal circumstances, when a vampire conceives a child with an alien, it will only ever be a hybrid alien rather than a full alien, as Loki was. During the 4th abduction, Loki agreed to try an alien pregnancy. Being a scientist himself, he too was curious about the result. Mimsy was happy about the pregnancy. She wanted more children, but as time passed none had come. 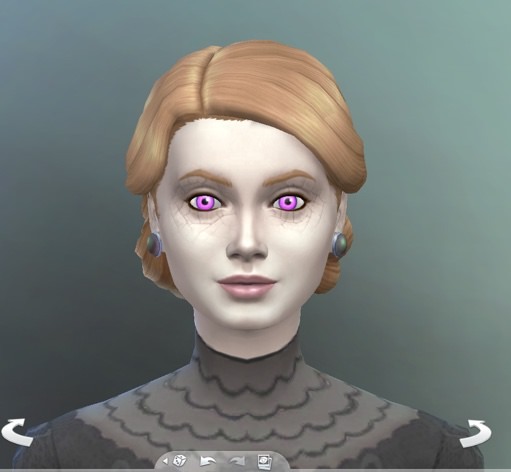 It seemed as though her resurrection may have damaged her ability to bear children, and that Mathilde really was a miracle, no less than a vampire alien. Loki gave birth to a baby girl, who they called Celeste. After the birth of Celeste, Loki felt that he had done his bit for science and begun using the satellite to ward off alien abductions. 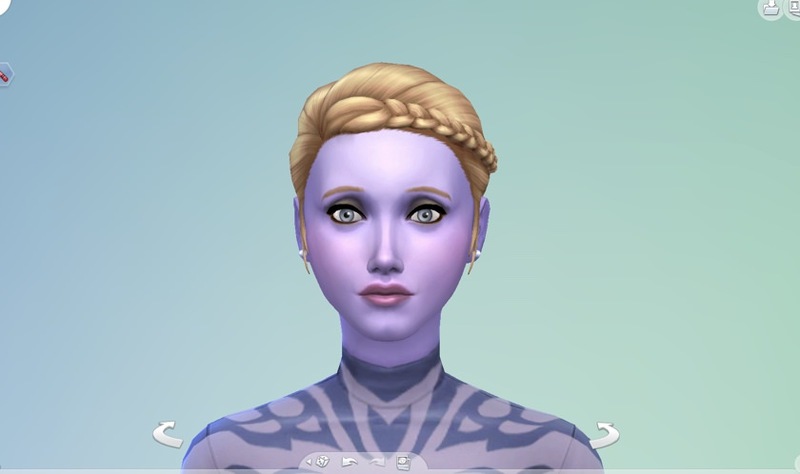 Celeste grew up to be both a vampire and an alien, like her father. 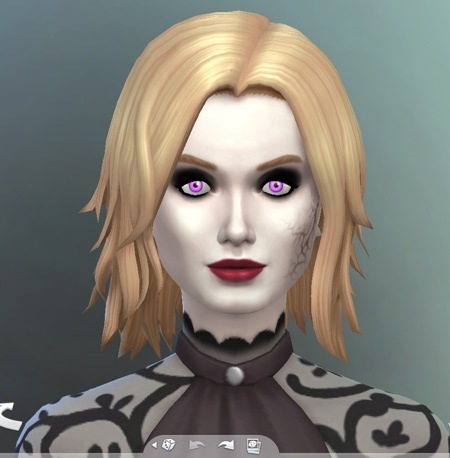 Mathilde Vatore was the only mortal member of the family, her mother being essentially a corporeal but unaging ghost and her father and half sister vampires. She therefore asked Loki to turn her into a vampire. He had never bitten anyone before, preferring to rely entirely on plasma packs, but he agreed because he loved his daughter and could not bear to think of her dying. A few days later, Mathilde’s transformation into a vampire was complete. Meanwhile Renesmee, Loki’s half-sister, married Max Villareal and had a vampire daughter called Melike. Back to Mathilde Vatore now, whose line I will follow from now on. 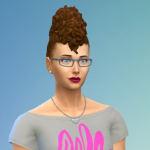 Mathilde married her childhood friend, Lucian DeLong (I might add, one of the most attractive townies MCCC has ever made me!). Shortly after this, she turned Lucian into a vampire. 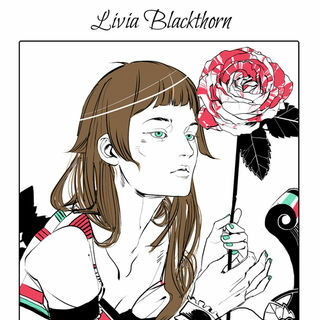 Mathilde and Lucian had four sons: Rhys, Alek, Arthur and James, all vampires. When Mathilde and Lucian were house hunting, they discovered a house in Willow Creek that was completely empty of furniture or sims, save for the ghost of an elderly cat called Mayor Whiskers. They couldn‘t bear to think of him living all alone in such circumstances, so they decided to add him to their family. Since then, he has been the family pet and will go to live with the heir of each new generation. He’s a perfect pet as he never gets sick, being a ghost! Alek Vatore was the only one of his brothers to remain a vampire - the rest decided to take the cure and become mortal. Alek moved out of the family home shortly before reaching young adulthood. He loved his family and stayed in close contact with them, but wanted a quiet space to focus on his painting. He took Mayor Whiskers, with whom he was particularly close, with him. As Alek was a vampire and immune to the sun, he needed little except plasma and he had plasma packs aplenty. Therefore, he bought only a plot of land on an island in Windenburg, on which he built a rather rudimentary house. When Alek left school, he became a doctor. A day in the medical profession was not well paid, in comparison to the money he could make from selling even one of his paintings. But, Alek was conscientious and had a desire to help others. 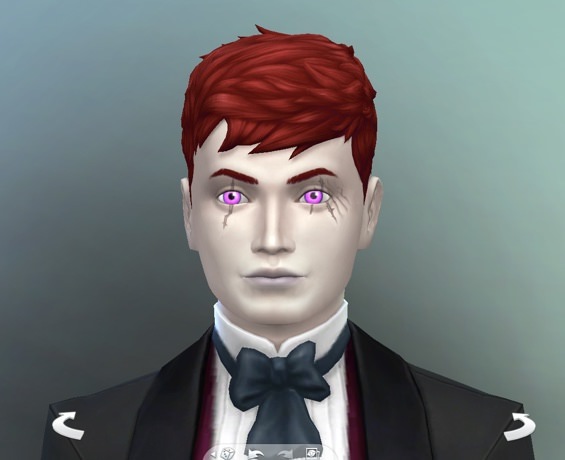 He was also desperate to be a good vampire and never drank from another sim without permission, though generally relied on plasma packs. Now, the Vatores and Vlad had been feuding for centuries. 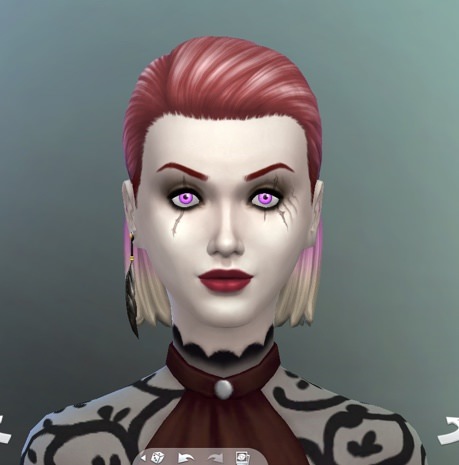 Lilith has been turned into a vampire against her will by Vlad, and Caleb had been turned by Miss Hell (one of Vlad’s vampire offspring). The pair refused to drink from humans and were a disappointment to Vlad, who had hoped they would join his inner circle. Instead, they distanced themselves from him and regarded him with revulsion, though they were sensible enough not to openly challenge his leadership. Despite the Vatore Straud family feud, Alek Vatore fell in love with Vlad’s daughter, Svetlana (who you may remember). Since coming to terms with his feelings for Callie (who had been a human), Vlad had become considerably more respectful of non-vampires. So, the marriage was able to bring the two families together and establish a tentative sort of peace between them. Svetlana fell pregnant and gave birth to a baby girl, who they called Natasha. Svetlana and Natasha moved in with Alek and shortly after, Alek and Svetlana were married. As a gesture of goodwill, Alek took the Straud surname, as dud Natasha (second in line to the Straud throne, after Svetlana). Svetlana gave birth to identical twin boys: Benjamin and Ezequiel. I will only post pictures of Benjamin, since they are 100% indistinguishable, and I’ve also dressed them the same. Christina Straud is going to marry Lilith’s son, Rick Vatore. Their children will take the surname Vatore-Straud, further bringing the Vatore and Straud closer together. 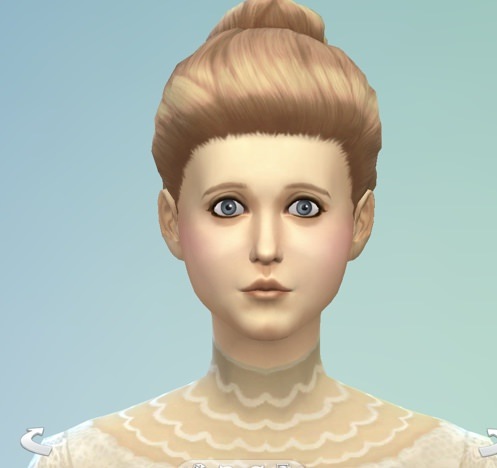 I am moving on with Natasha Straud as heir for my active family’s next generation. She is going to marry a human, Markus Black. (Interesting fact: Markus’ great great grandfather on his father’s side is Natasha’s great grandfather on her father’s side. And, Markus’ great great great grandmother on his mother’s side is Natasha’s great great great great grandmother on her mother’s side. Markus is also the grandson of Morgan Fyres, so he looks a bit like her). Natasha and Markus are going to get married and live in an apartment in San Myushino, bringing the ghostly Mayor Whiskers of course. 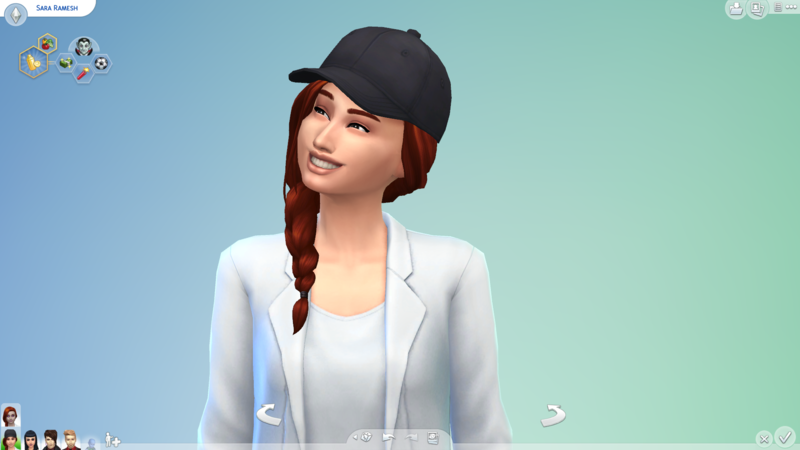 Natasha will be a politician (might be interesting considering she is going to be feeding off the city’s citizens at night and is also a kleptomaniac - soooo overall not very trustworthy). Markus will stay a human, and they are going to have a human child. This is where the vampire line will ends for a bit, I’m afraid. After a few generations, they will forget that there are vampires in their blood... Until, of course, Vlad decides to muscle in and let one of his poor human descendants know that they are part of the royal Straud line. Maybe then, vampires will re emerge in the family! 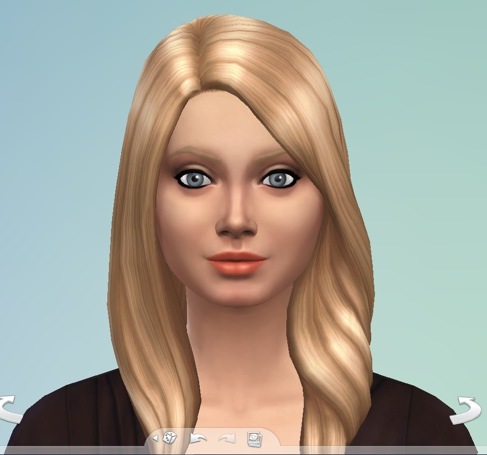 @MaggieMarley just had a baby with Travis myself, she is gorgeous in your game! @MaggieMarley Hey, Travis Scott is a huge player in my founding family too. 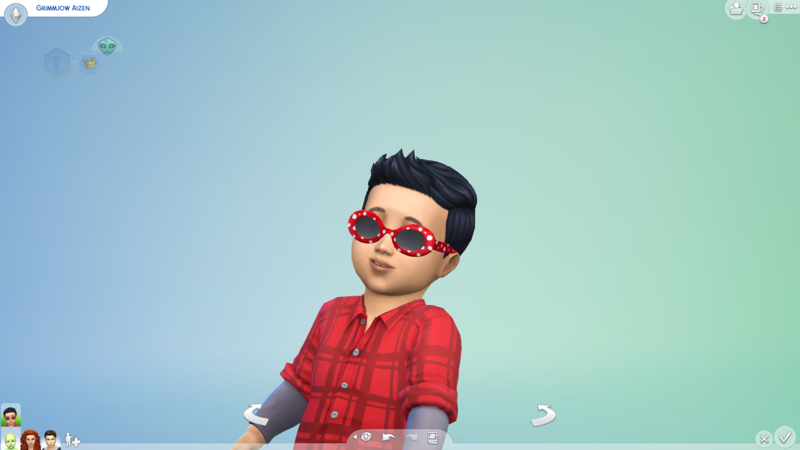 In my main save he is married to my avatar and I changed his name to Jeremy Stratus 'cause I had way too many Scotts running around and I didn't like his name anyway. 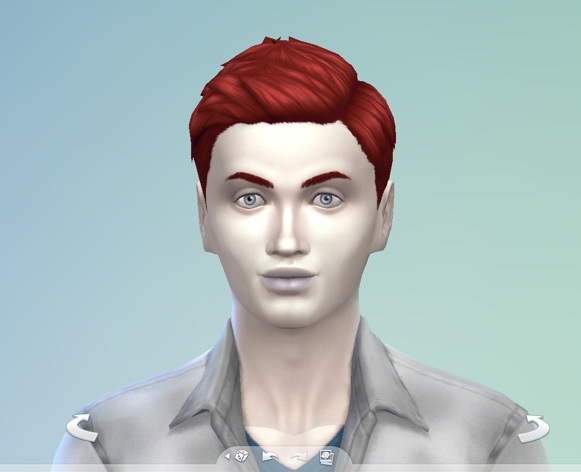 (gratuitous pics for anyone interested in what Travis looks like in my game <even though he's not a vampire>). The left is my most recent CAS shot of him, but the right is kinda neat 'cause he came home from work after a promotion with no makeup or accessories at all (not even eyelashes - quite naked by my standards LOL). This is a fantastic and intricate narrative. Thank You many times over for sharing. I don't know where to begin. I love the story of Lettie and her adventuring in Selvadorada (as a dog lover, and a geek, I have to love the fact that the, "dog's name was Indiana". - that's hysterical). I also love that you incorporate your pets into this legacy, I haven't seen that a lot. (although I may not be looking in the right places), but bringing Mayor Whiskers from generation to generation gives this family, IMO, more of a legacy than just say passing down a Lot or some money. It's really cool. I've also never read such a detailed accounting of the Straud family. A lot of folk I've talked to hate Vlad or love him as evil, but to see him portrayed in your story as injured and certainly very capable of love and other complex relationships is really cool, and gives me a real investment in his motives and in his legacy moving forward (his children and future generations). 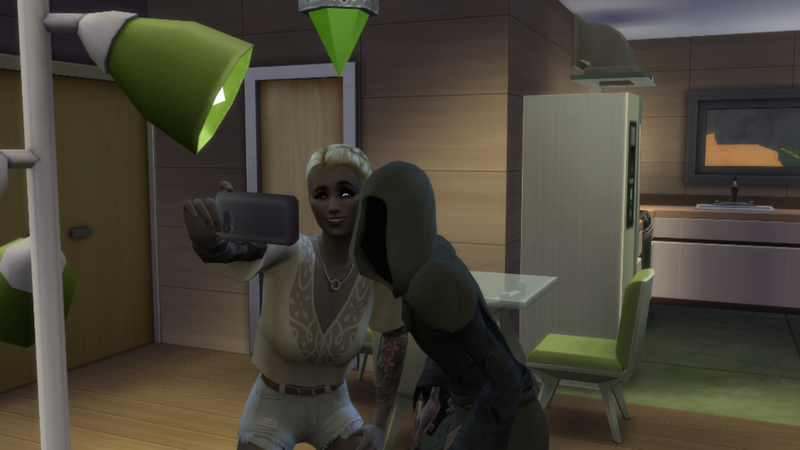 (I got Vlad killed early on, but I am resurrecting his "family" with my Royals coven - although honestly the sims I am adding have no genetic attachment - in game - to Vlad himself - I'm fabricating that part). What I know about Aliens and Ghosts, couldn't fill a thimble, but this is really interesting stuff. It's enlightening for me. I had no idea that aliens and vamps could be hybridized and retain elements of both races (that is what happened here right? I was worried I might have misunderstood). So Wow! cool beans. Now I don't play legacy so I don't have an understanding of the rules, does the fact that your legacy has moved away from the hybrids mean that you have left them behind in gameplay as well? 'Cause there's some really cool stuff going on with those chars, so that'd be sad. Finally, one of the really cool things about you showing us the generations as they were born and as their stories developed, is that I got to see how the genetic appearances of your sims carries into the following generations, I see features from early generations appearing in later ones, having not been so prevalent in the between generation. It's pretty neat. I have a lot more thought on this family and what you have shared, but I fear I don't have the time to really go into it as much as I'd like right now. Just know, this was not boring at all, and it has really sparked some cool ideas for me. Thank You again. @MaggieMarley Now THAT's a vampire legacy! I quite like where it's headed, and this is why I can never do legacies because I'll never get this far lol. Plus I'm impatient with waiting on children to age up. @kirivian Actually vampire-alien hybrids are actually not supposed to happen, as in the coding meshes those occult states together and their forms end up tangling together and may become very glitchy. Most of their abilities will probably still work though, but don't expect them to be fully functioning sims after that. 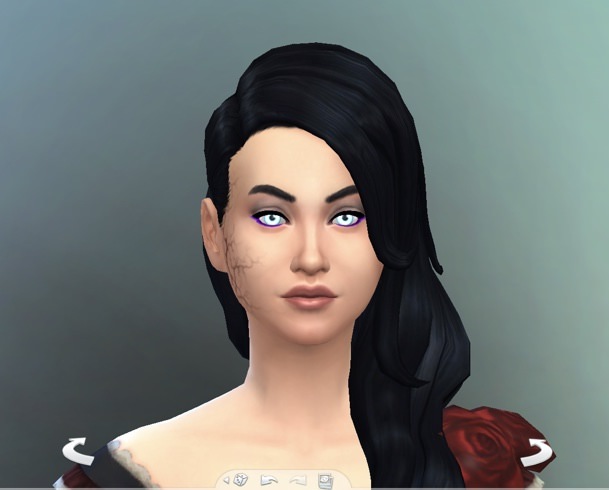 I tested that so long as you never go into CAS to edit them, alien/vampire sims with the opposing occult trait applied will function fully. @paradiseplanet Thanx for the info on that. I will bear it in mind if I ever experiment with hybrids. Does using MCCC help? because I use MCCC, but I do not enable story progression (I'm too OCD and controlling), but if story progression is what allows this type of hybrid to be experimented with, I might try it. But after reading MaggieMarley's vampire stories, I might get to sharing mine very soon! @xxnearlyperfectx thank you so much! I’m so glad you liked it I think Travis makes nice kids because her twin brother was also cute (sadly he is gone now because I let him live his life out as a human) - RIP. I’ve seen pictures of other children by Travis and they always seem t9 be an attractive bunch. @kirivian Thank you!! I was worried I rambled haha. But, like I said, I did try to cut down what I had written in my family tree. I love your Travis! 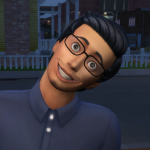 You’re really good at making over sims. 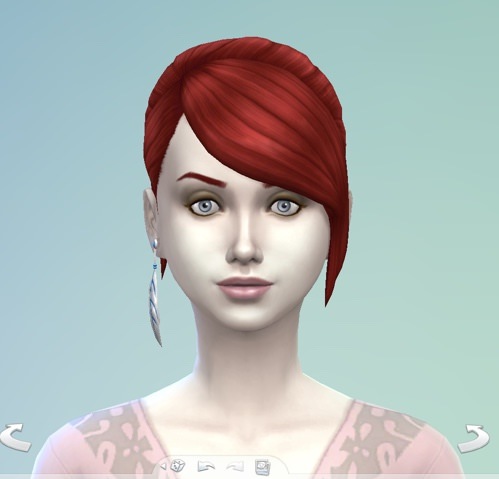 I am personally too afraid to use CC or mods other than MCCC, but I do really like some of the CC that’s out there. It’s amazing how much it can transform a sim. I guess making the premades over must make them feel much more ‘yours’? I miss poor little Indiana Jones haha (glad you got the reference!). Mayor Whiskers is by far my favourite pet so far, though. 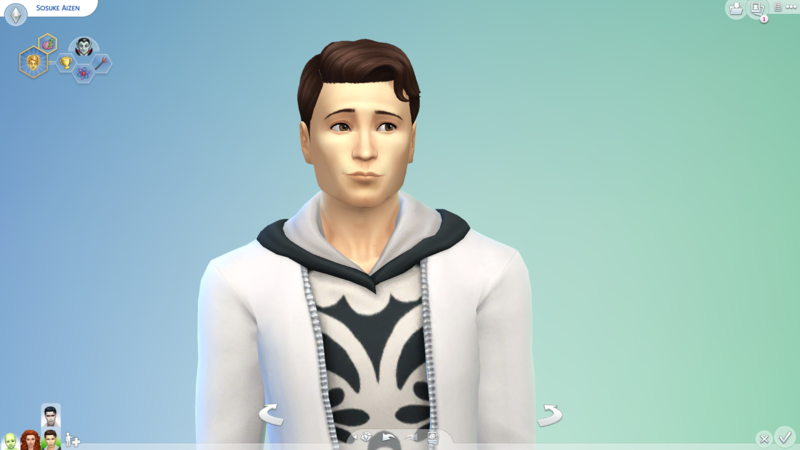 I might age him down to an adult in CAS though (but keep him as a ghost) as I feel bad for him being an elder forever. I always liked Vlad, but I think he’s my favourite premade now. Giving him a story (with the help of mccc marrying him off!) has really made me warm to him. I’d like to hear about what you get up to with Vlad and his “family” in your game (honestly I don’t think vampires care much about genetics in covens - they could all be Vlad’s vampire offspring anyway!) if you make over Vlad, I’d like to see that too. 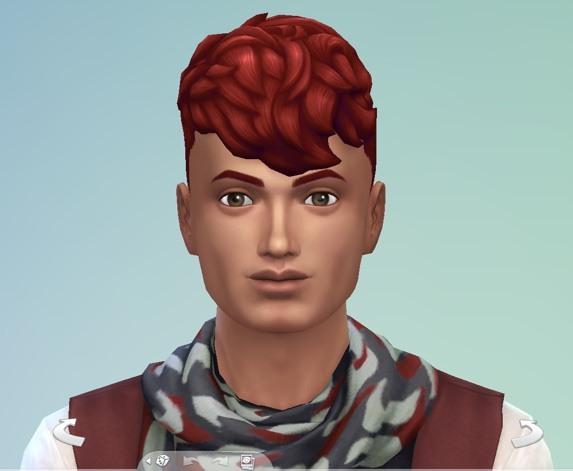 I do wonder what he’d look like with a bit of CC. 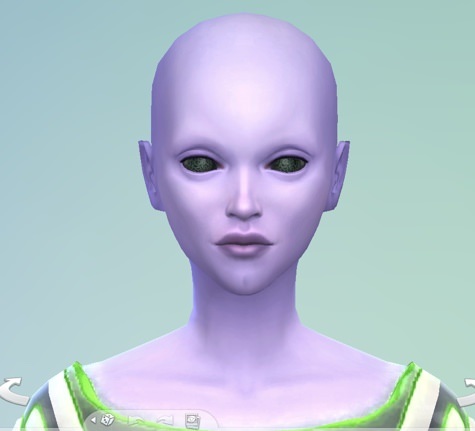 I think the only way that you can end up with a Sim who is both a full alien and a vampire is to have a vampire abducted by aliens and then their baby will be a full alien which might also be a vampire. 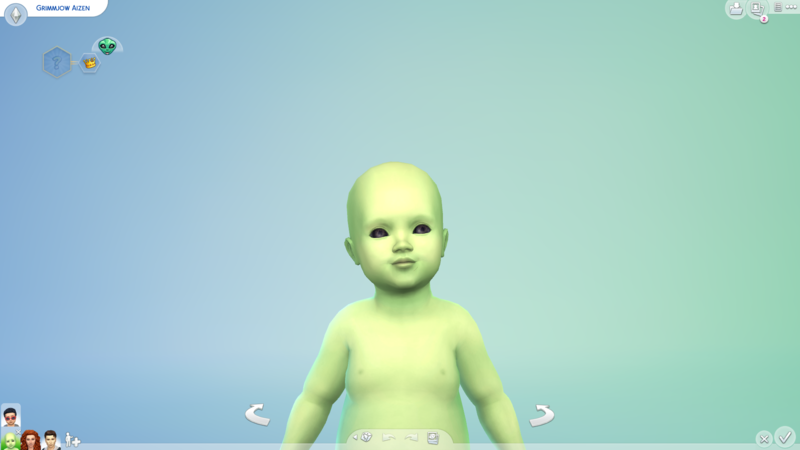 If aliens and vampires try for a baby, the kid will look like a normal sim but with funky skin and may or may not be a vampire, but it won’t have alien powers, or a disguise or anything. You also can’t have a vampire turn a full alien into a vampire. @paradiseplanet is correct that the vampire aliens result from a glitch in the system or an oversight or something and are not intended to happen. Fortunately, my two are fully functioning sims. The only problem with them is that if you take them into CAS they will lose one of their three forms (because there is only space for two forms in CAS). I also found that you can’t make them go straight from their alien form to their dark form or they lose their human disguise. You have to go from the alien form, to the disguise, to the dark form. I learned these things by experimenting in a different save and with these insights, I’ve been able to keep all three forms for my vampire aliens. 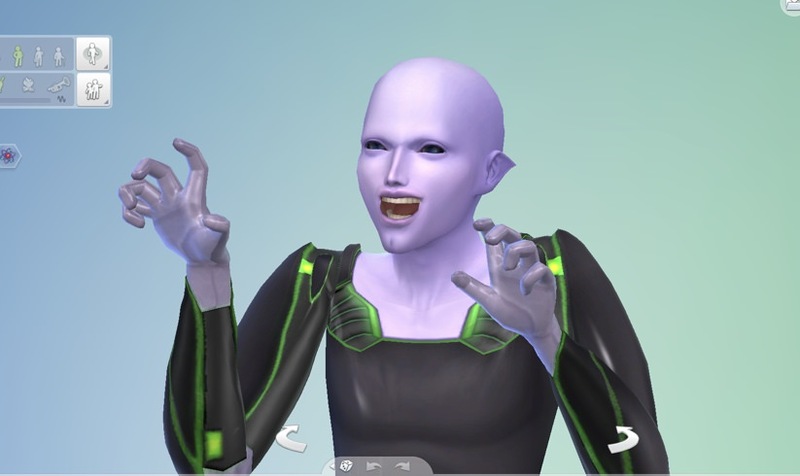 I don’t think that you need MCCC for the vampire alien thing. I have it, but I don’t think it has any affect. 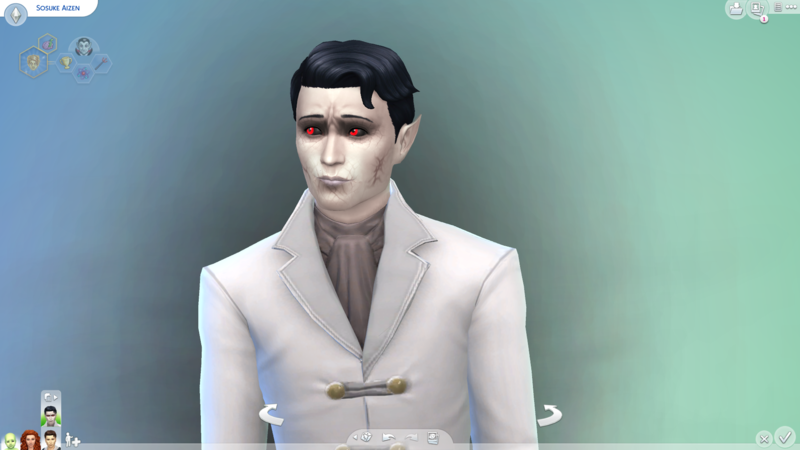 I’m sure I’ve heard of other people getting vampire aliens who don’t have MCCC, so I think it’s a base game thing. There are some MCCC settings which might help. You can use MCCC to make abductions more frequent (although I didn’t do this). You can also use MCCC to set the probability of a baby with one vampire parent being a vampire to 100% but I had this at the default 50%. 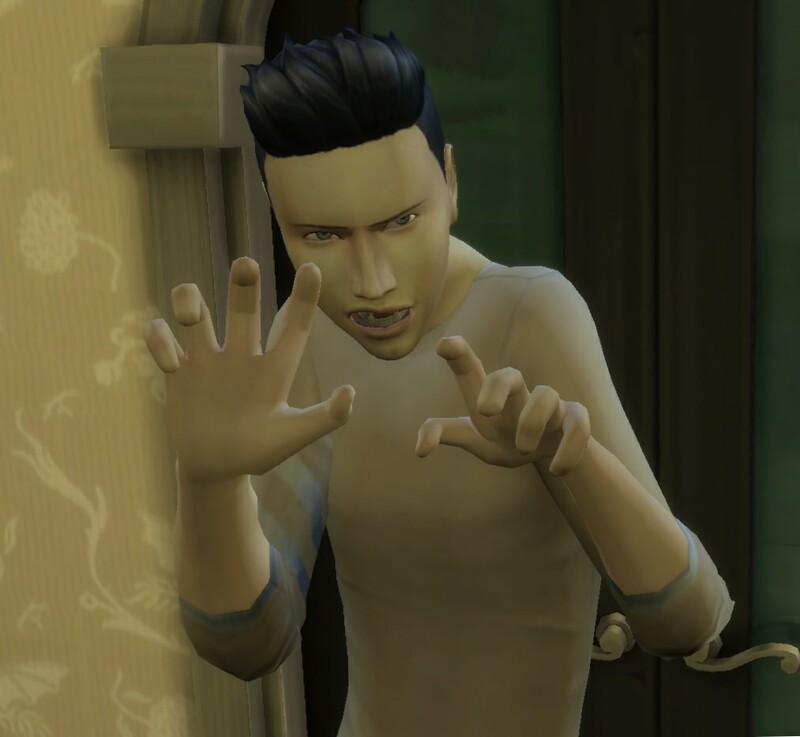 I do not think that story progression would have any effect on getting the vampire alien hybrids, because I have it set to bypass my played households and this all happened in my active household. 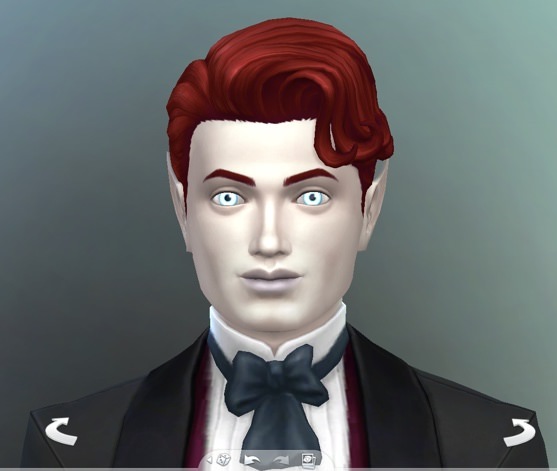 If you do get some vampire hybrids in your game, I’d be really interested to see them! 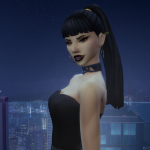 Although the two vampire alien hybrids are no longer in my active family, I still have them marked as played so mccc doesn’t mess with them and do have my active sims interact with them often. Loki is probably my favourite sim and he and Mimsy are my favourite couple, so I definitely make a point of seeing them often! I’m not playing a stric Legacy - or really a legacy at all, as I’m not counting points and I break many rules (I move house each generation, don’t start off with nothing etc). It’s more if a legacy style or generational game. I love playing generational games because I feel like each geberation has a bit more history and therefore more backstory, which is what makes them interesting to me. I also feel as though I’m building something with their family tree. @paradiseplanet I’m really glad you liked it too! 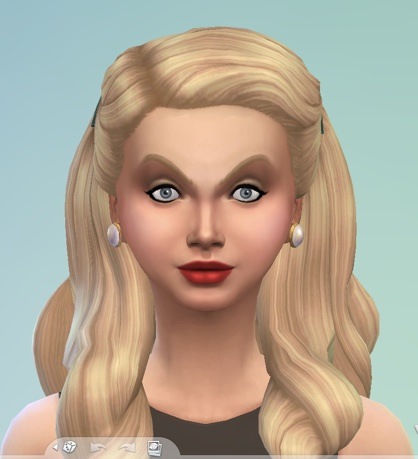 I generally cheat and peek at what the kids are going to look like as adults early lol. Otherwise I can’t stand the waiting! Well you're in luck @MaggieMarley and @kirivian ! I was just about to post the first post of many, many more to come! Alright it's time to start my vampire tales! I was originally going to start a story thread titled "House (Haus) of the Morning Star" but since I'd never get to making it happen, I can at least share the individual stories surrounding all my vampires. I'll post in batches as well so I can organise all their stories better. To start, I'll focus on some of the major players of this story. 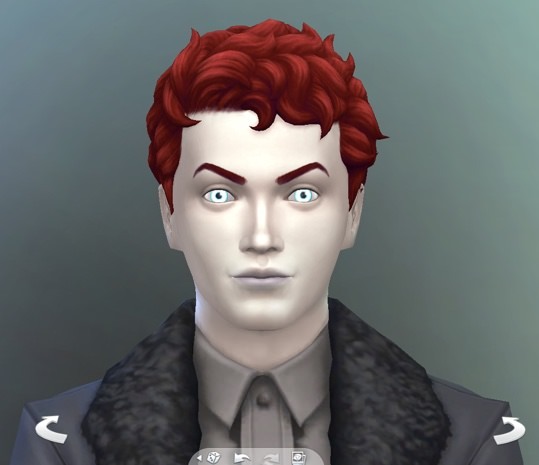 To start, you all know already about Count Vladislaus Straud and Lilith and Caleb Vatore; I haven't changed their appearance and I follow by the Maxis account of their origins so not much has changed in that dept either. 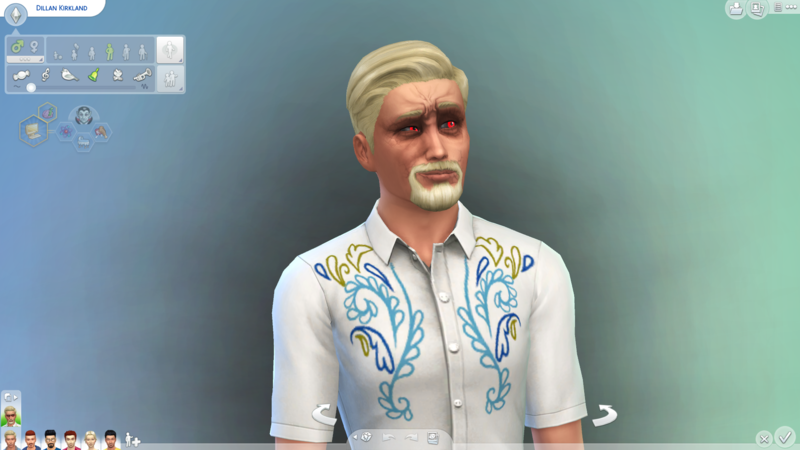 Count Vlad still continues to rule over Forgotten Hollow from his hilltop manor (along with his cat, Mayor Whiskers) and the Vatores still live in Wolfsbane Manor, but there are some changes with them all. In my game, Count Vlad currently leads the League of Vampires, or the World Council of Vampires depending on who you ask, and in a way you can consider the Vampire League his "coven" of sorts although he has no actual coven of his own, but asserts significant power and influence over other covens in the League and around the world. 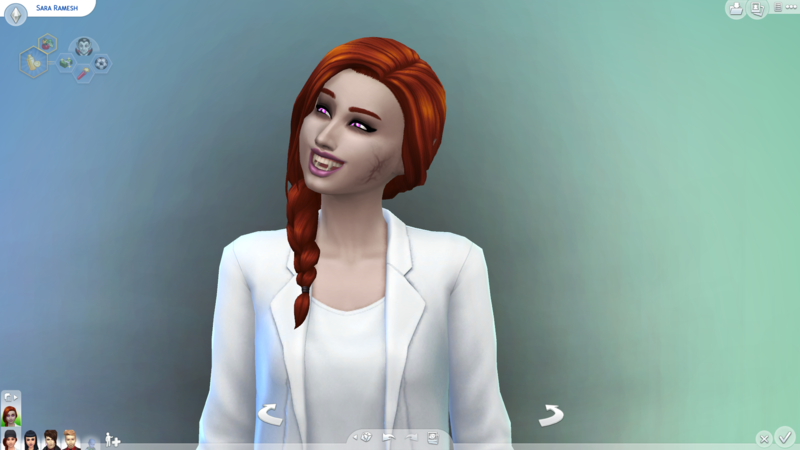 Sara Ramesh, her first offspring and arguably her favorite; the only one of her offspring that currently resides with her as she is grooming her as the heir of the coven. 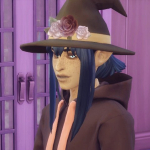 Sara regards Lilith like a mother (or a sister) to her and as the last of her actual family had finally died (her cousin Sai who was fed to his wife's cowplant), Lilith is now the closest thing to a family she has left. She is of course free to leave the house at anytime and plans to talk about moving in with Count Vlad to obtain more vampiric skills and gain more power. 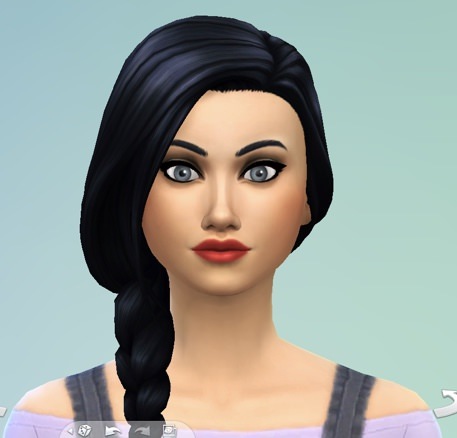 Dillan Kirkland, her second offspring was only but a passing thought that she sought to turn, only because he wouldn't stop knocking on their door during the day, seemingly fascinated with them (and Caleb especially). After he and Caleb became a couple, Lilith sought to turn Dillan into a vampire so that they could stay immortal forever, and after Dillan's mother Juanita passed away, he agreed to let Lilith turn him into one. 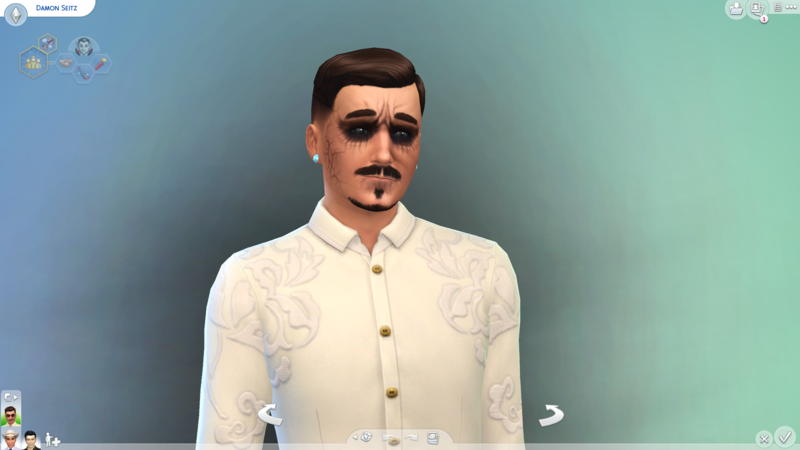 Now living with a middle-aged Don Lothario in the former Partihaus, he is currently being secretly targeted by bestselling author and fledgling vampire hunter, Andre DaSilva (yes, the same Maxis premade one) for being considered a local threat to his family, his neighborhood, and his community. Now a vampire, he set his grand plan into motion, but not before getting abducted by aliens one night and coming home with an alien abduction baby, his son Grimmjow, which is unknown whether he will inherit hybrid genes or not from him. During the days when he slept, Grimmjow was being taken care of by his live-in nanny, Meredith Fey, who also makes for a great live-in meal as well. Unlike the rest of her offspring, Sosuke doesn't consider himself part of the Vatore coven and considers himself independent. He's been worming his way into Vlad's good graces while he'd been studying vampire lore and upon reaching Master rank and gaining Sun Immunity, he's started a career in organised crime, becoming the very things that his brother had been working to get rid of. Sosuke has been coercing (or manipulating) Vlad into submitting his bid to be a Councillor of the League, but Vlad warns him that there are processes in place that can't allow him to simply make him one, so he'll have to curry favour with the others if he wants to guarantee their votes (I'll get more into detail another day). Sosuke took it home and placed it outside his cottage, then waited for his ghost to show up one night, and summarily beat up and insult him and generally cause him misery in the afterlife. All for the fun of it! He also regularly laughs at his grave. @paradiseplanet I love that you incorporated Mayor Whiskers too! What is it about vampires and cats? They’d better steer clear of Mayor W while in their bat form or there could be an unfortunate accident Ah your Vlad’s league has reminded me: I had a “Court of Straud” club involving the vampires from the trailer of which Vlad was the leader before he became a family man vamp. I should start that up again. I enjoyed reading about Lilith’s offspring. Sara is beautiful but I absolutely love Sosuke! Did you make him? He looks amazing. Is Grimmjow a vampire alien? I suspect you already know ah the perks of having a human nanny. That was a good idea which I never thought of for my vamps! 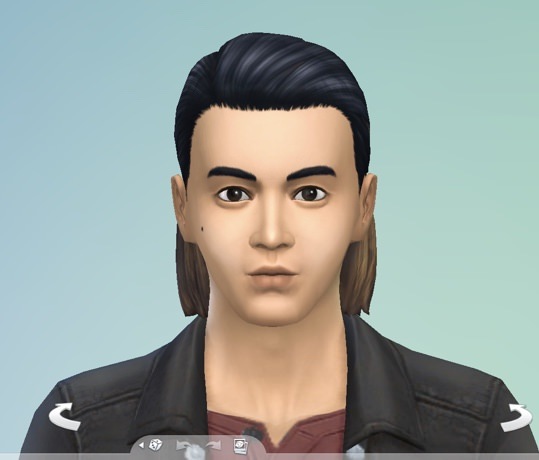 @MaggieMarley Of course I made Sosuke, along with his brother and his family as well! I put a lot of thought in making them all specifically. As for Grimmjow, we'll see once he reaches teen, won't we? I'm excited in hoping he might end up as a hybrid tbh.